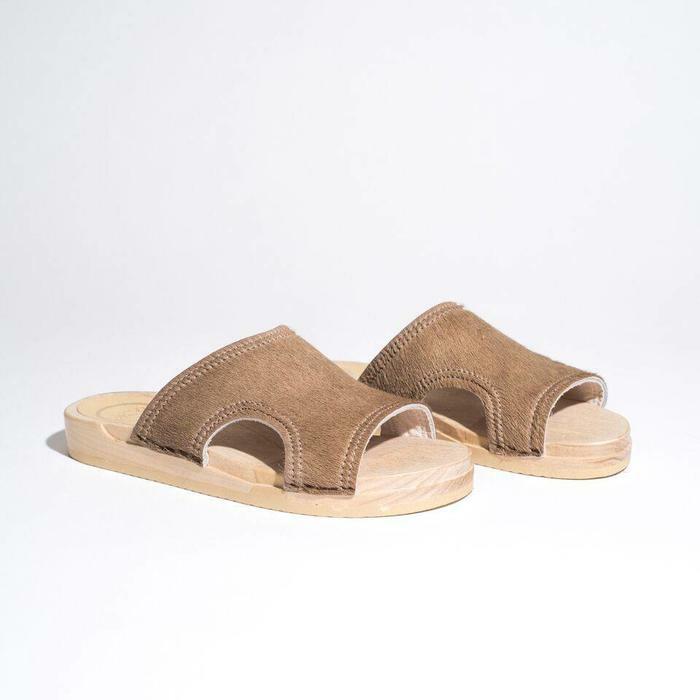 Open toe clog slide with side cut outs and double-needle stitching on a bendable flat base that moves with you. Made with Italian calf hair. 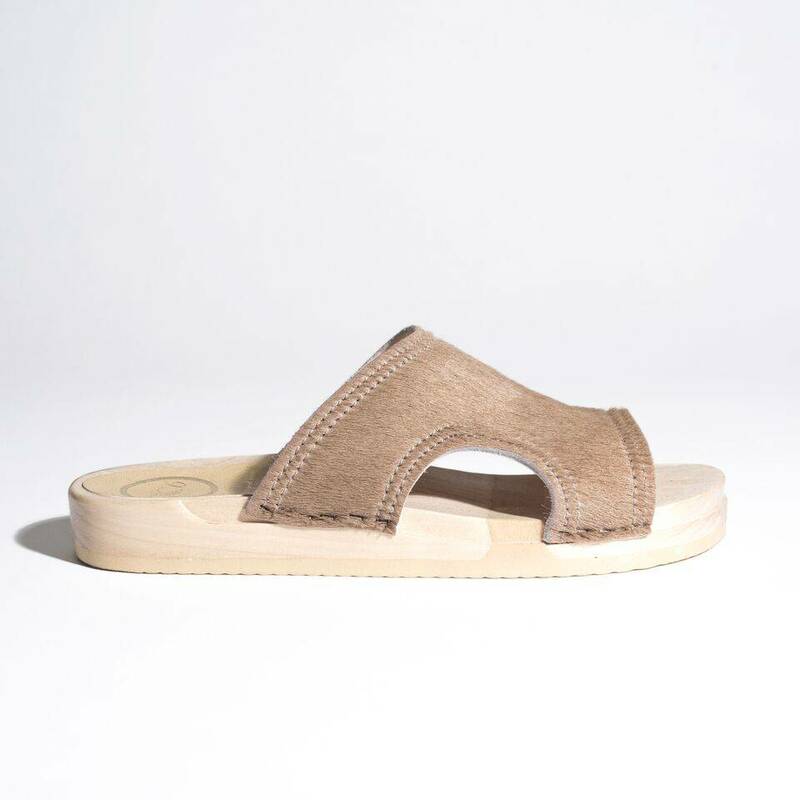 Lightweight and easy to pack, this sandal is perfect for the city, the beach, and the countryside alike.